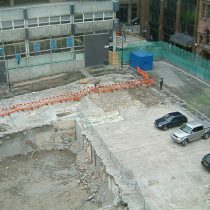 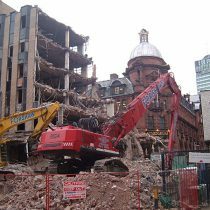 Scope: The soft-strip, deconstruction, demolition and site clearance of a five-storey office building with a bank vault underneath. 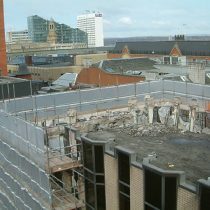 Site adjacent to main city centre post office and office buildings on all other sides. 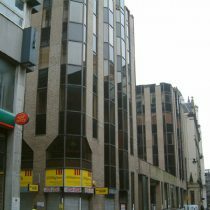 Amethyst House was a five-storey brick clad office building with bronze window frames, arranged as a ‘C’ shape with an existing bank vault within the basement construction. 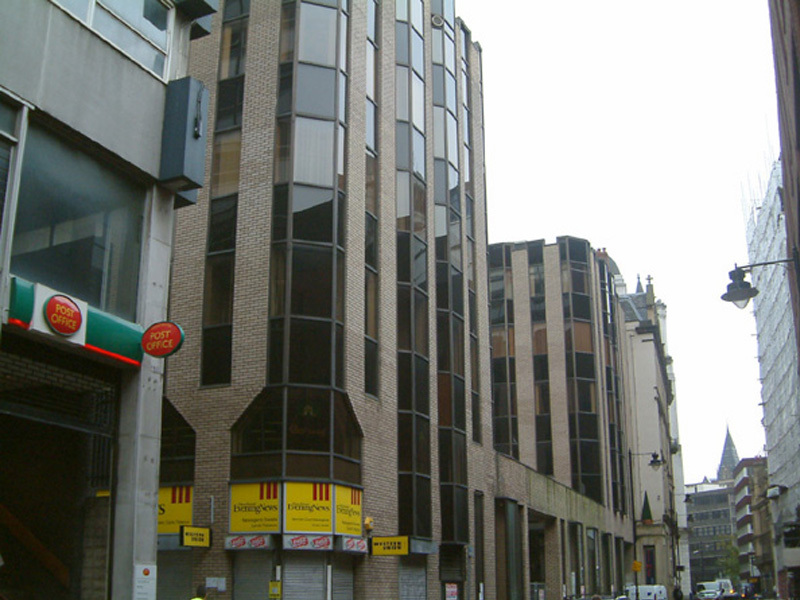 Retail units were arranged along the Marriot’s Court elevation. 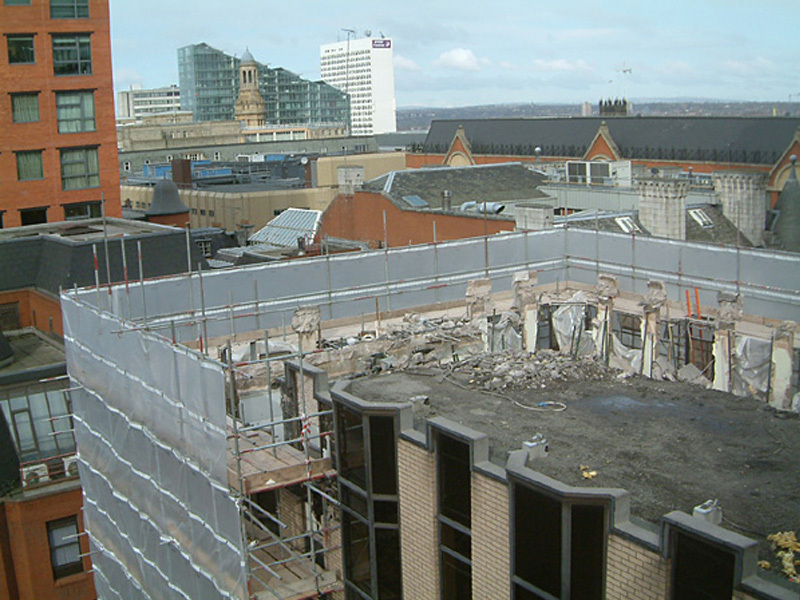 There was also a network substation located within the basement, which needed to be protected and maintained throughout the works until a new network substation was constructed. 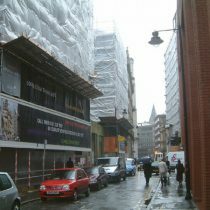 Full height scaffolding with debris netting and boards to 3 floors at any one time was erected to 3 elevations. 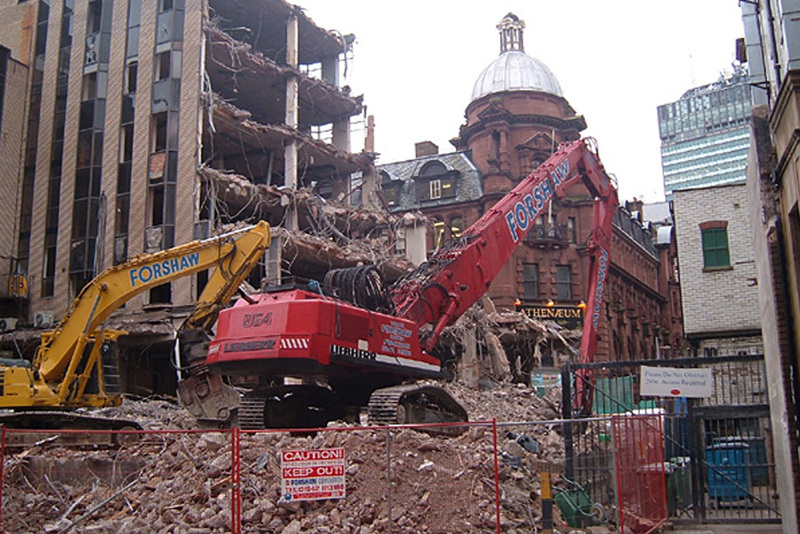 A mobile crane was used to lift mini-diggers and bobcats up to the roof level to allow deconstruction of the block nearest to other buildings. 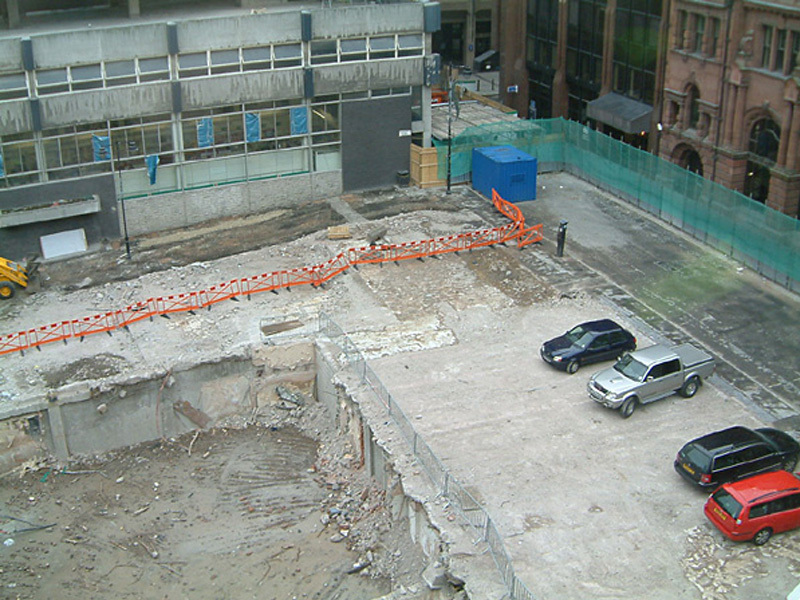 Through propping to floors for additional loads applied by the mini-diggers. 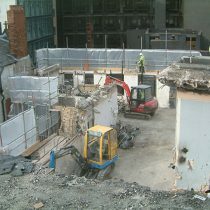 All debris deposited down the lift-shaft. 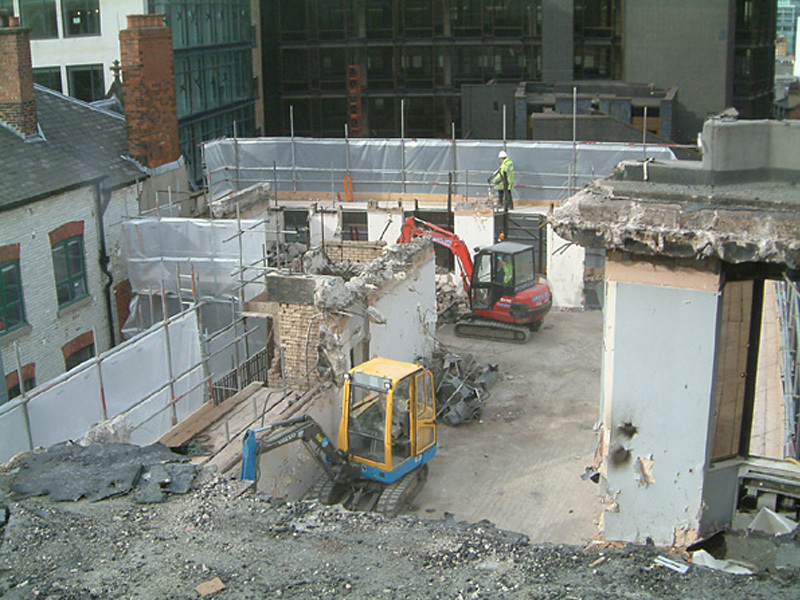 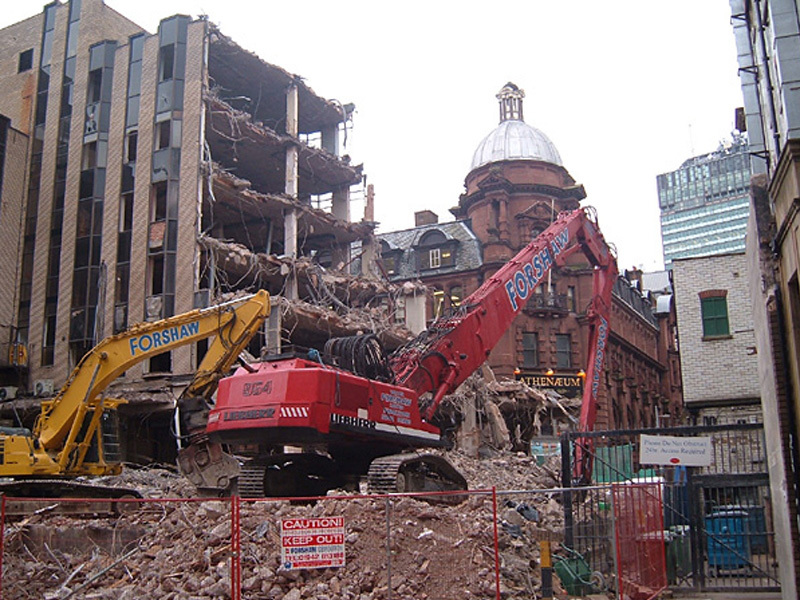 Bottom floors and full height central section was demolished using a Liebherr 954V Long Reach Excavator fitted with concrete pulverisor with 360o rotation once the scaffoling had been dismantled. 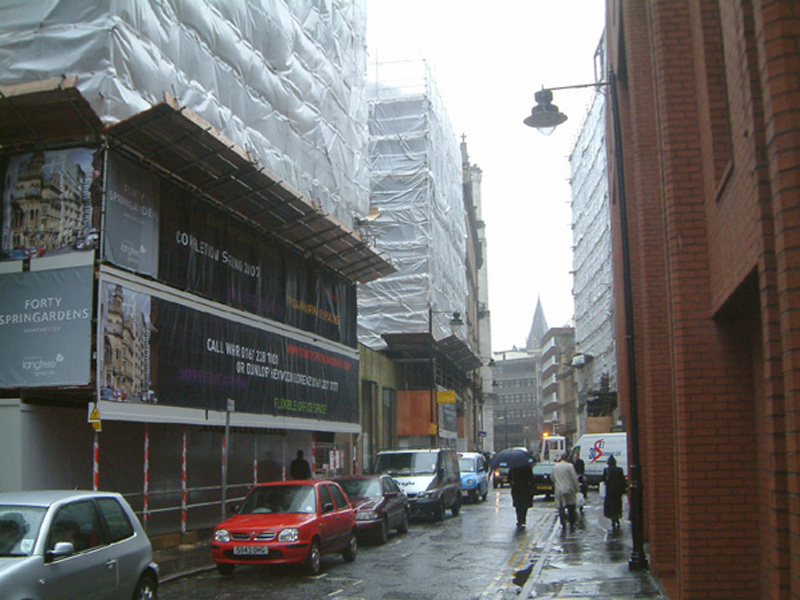 Close liaison with Manchester City Council was paramount, to organise road and footpath closures to ensure the public were protected at all times.